Thanks to ESPN2 and my Time Warner Cable DVR, I awoke every morning for two weeks to a Christmas morning of sorts, full of 10 some hours of tennis coverage. Putting aside the incredible athleticism, the fit and attractive main characters and the fashion considerations, just the fact that I had a window into beautiful summer weather made the tournament an uplifting addiction. So, some observations. We know that psychology is important to sports and that tennis, in particular, is as much a head game as a game of skill. In fact, I had the opportunity to have dinner with Tracy Austin a few years ago at which time she acknowledged that a primary reason she won her first U.S. Open is that she was too young to know what a big deal it was. What else? Well, if it is not already the case, then Novak Djokovic’s girlfriend (Jelena Ristic) needs to be approached by a clothing manufacturer or designer for product placement. All the players have logos galore, but she, who seems to be on screen more than anyone other than the two players, is left to her own impeccable taste to decide how to dress. (By the way, she’s gorgeous if you were not aware.) This is a missed sponsorship opportunity. And, how about those tennis fashions? For some reason Adidas felt compelled to subject those they sponsor to a disturbing combination of peach and coral that even men on the courts in Central Park remembered two weeks later. My nephew, who plays wheelchair tennis competitively, tells me it’s because the manufacturers want to show off bright colors at this first summer event. But I found it cruel. It took me a while, by the way, to understand why so many players were wearing the exact same dress or style. At first I thought they might be from the same Eastern European nation. Then I realized it was Adidas. I imagine they feel that by having multiple players, who may not make it very far into the tournament, wear the same outfit, they get similar air time as they would if a highly seeded player wore it for many rounds. That said, the fact that the women’s tennis has become a game of “your guess is as good as mine” makes it hard to predict who might actually have significant airtime. Even Sharapova, who made it to the finals, went down in a quite brief 6-3 6-0 match. But let’s get back to Nadal. Nadal has become my inspiration. Yes, he’s cute and cuddly and muscular and fit and a magnificent athlete… wait, where was I? Ah, right, inspiration. As one of the commentators observed, Nadal plays every point as if it is match point. No matter how unlikely it seems that he might win – as with the, sigh, U.S. Open of last year, he will never lose hope. He will never stop fighting. If Nadal (oh, and Djokovic too) can play a 6 hour final match, then I can (in theory), run for 45 minutes on the treadmill, or hold that tortuous yoga pose until the instructor lets me (please, for G-d’s sake) move on. So, somehow, even when Nadal loses. (And, don’t get me wrong, I’m still in mourning for this year’s final), I feel somehow inspired. To expand upon that point, I have friends who are not Nadal fans. I don’t fully get it, but it’s true. Many are Federer fans. And I can appreciate that. He’s a class act. But it does make me wonder what makes someone a Nadal fan and others a Federer fan. (Putting Novak aside for the moment.) They are, after all, different. Nadal is wearing bright swaths of color. Lime green and sporty blue – on simple (high tech) t-shirts. Federer’s shirts all have collars. (Federer has Rolex as his sponsor.) But I love Nadal. He’s PASSIONATE. And he’s physical in a warm way. When Federer first lost to him and was crying, Nadal put his arm around Federer’s neck and his head on his shoulder. (I could die!) When Nadal passed Novak on the grounds of the Ossie open, he patted his back rather than just shaking his hand. It’s these little things that appeal to me. So, back to fashion. What’s up with the mismatched yet coordinated wristbands. One blue, one white. One black, one red. I don’t know. I can’t think of the colors, but it’s a thing. Someone ordained it. They take the colors from the tennis outfit and break them out into two wristbands. This meant, of course, that when Novak switched from his white shirt to his black shirt in the second or third set – also an interesting move – his blue wristband didn’t make sense, as it was not reflected in the shirt. So…. what was supposed to be a quick post feels like it could go on and on – much like the 6 hour final, so I must end it somewhat arbitrarily and abruptly. I hope you’ve enjoyed my tennis musings – brought to you thanks to the coverage of ESPN2 (and the Tennis Channel) and the DVR functionality of Time Warner Cable. Direct Marketing: Who Does It Well? I have chosen four brands that showcase different aspects of excellence in DR marketing: American Express, JetBlue, Target and Starbucks. 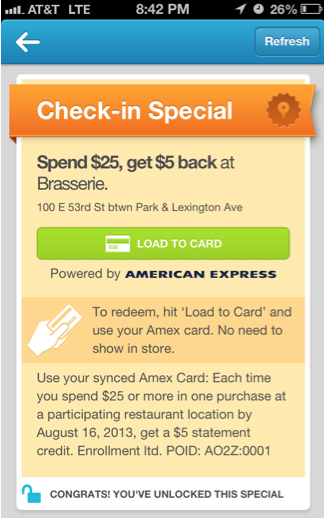 American Express is a good example of a marketer that uses modeling, and mail/offer testing effectively. It also uses a wide range of channels, from mobile/geolocation to direct mail, email, social and telemarketing, and has even experimented with addressable television. American Express uses its reserve of transactional and other data to target and space offers and to reach customers through their individually preferred channels. I personally receive and respond to offers via my mobile device through the geolocation application foursquare. These offers are timely, relevant and easy to redeem. Once I have “unlocked” a special offer, American Express applies the discount directly to my statement. This program originated as a way to drive activity for AMEX’s small business customers; however, it is equally valuable for card members. The direct application of the rebate to a card holder’s statement resulted from research that showed that members often feel uncomfortable or inconvenienced by having to show a coupon at a restaurant or other place of business. American Express offers are tied to segmentation such as the type of card or specific activity. For example, Gold card members receive a Platinum offer every 3-4 months, a customer who shops at Petsmart might receive a $10 offer for a future purchase there, and someone who travels might receive offers related to places he or she has visited or for a traditional AMEX product set such as Sign and Travel. My understanding is that American Express dedicates 15% of its budget to testing. This reflects the brand’s commitment to continuous learning, using controls and checks, trying new things, tweaking, and defining and tracking measures of success. JetBlue uses DR marketing more for relationship building than acquisition. They manage the relationship with their patrons in a structured and fun way that clearly reflects the brand’s personality. JetBlue is a good example of brand that demonstrates its relevance to the customer, expresses itself in its own voice, and delivers timely and appropriate messages. In addition, the brand and the message stand out and add value to the relationship for both parties. 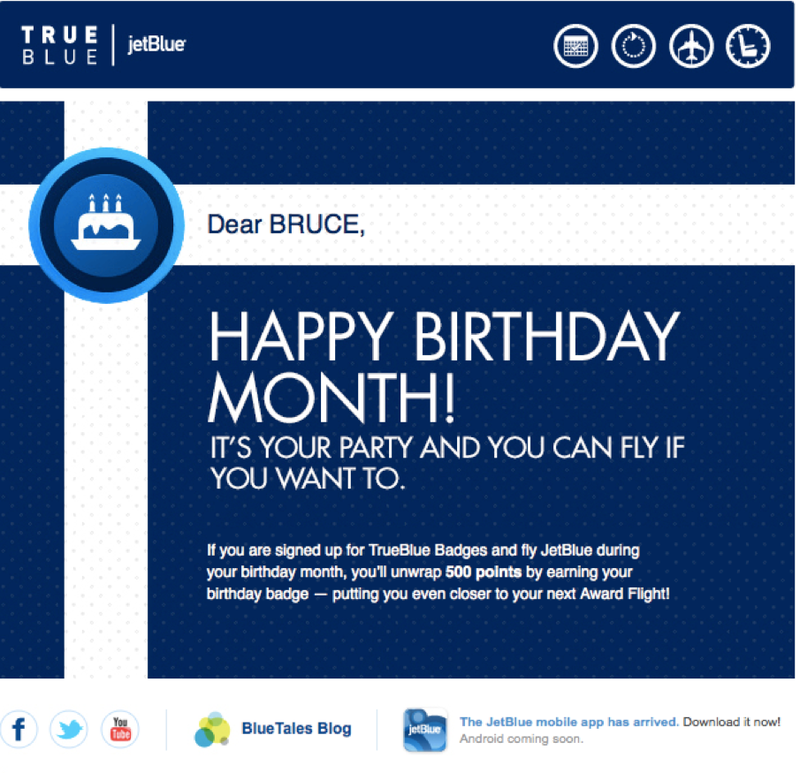 The JetBlue birthday email depicted here is simple, unexpected, quick and to the point. It recognizes the fact that people are likely to fly around the time of their birthday and offers a potential bonus for flying with JetBlue. JetBlue uses social channels such as twitter for both promotion and customer service. In this twitter exchange, you can see the airline’s promotional offer: “Spread yur wings & try an exciting new destination w/ flgts from $59.” The message is short and enticing with an effective call to action and means to take action by clicking on the link. Note that the reach of this offer has been amplified by being retweeted. In addition, this exchange demonstrates how JetBlue’s social customer care presence is consistent with its brand personality. The response from the JetBlue representative to M Schackne is energetic, playful, timely and personal – showing a consistency across channels. Target used sophisticated statistical modeling to identify mothers-to-be by mapping buying behaviors of loyalty card members to those who had signed up for baby registries – thus giving Target access to a highly profitable customer segment. Because birth records are usually public, new parents are immediately inundated by all kinds of offers and advertisements, so the Holy Grail is to reach these parents before their child is born. Target was able to pinpoint customers who were pregnant and even estimate their due date. This allowed them to send extremely targeted offers to drive in-store traffic. Some say that this strategy of reaching new families and making them loyal Target customers was key to Target’s revenue growth of $44 billion in 2002 to $67 billion in 2010. Target’s strategy became public due to a New York Times article that featured a story in which Target knew that a teenager was pregnant before she had told her family. This story highlights the fine line between relevant and “creepy” that direct marketers must navigate in this age of big data and personalization. DR marketing is permission based, and we must be careful not to impose upon customers’ good will and sense of comfort. Through its mobile application, Starbucks sends offers that range from value added items such as free music and applications to specific offers to try new products for free or at a discount. 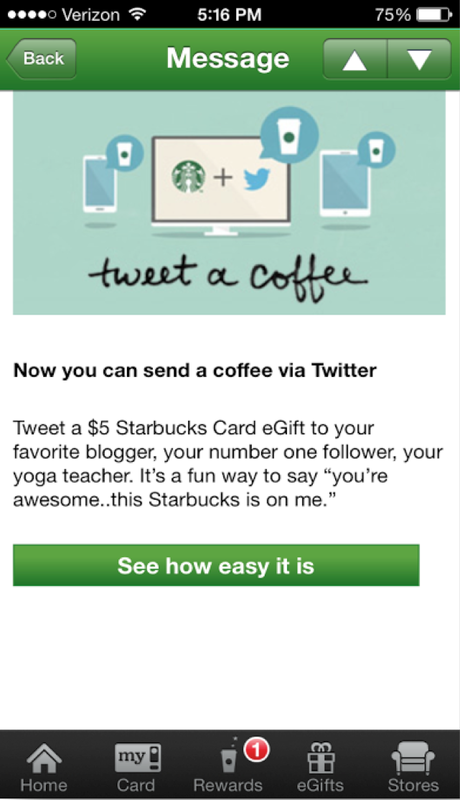 Starbucks also uses this channel to provide loyalty rewards, which include free products. Other offers encourage and enable customers to serve as advocates by, for example, tweeting promotional offers to friends. The Marketing Funnel – Should You or Shouldn’t You? On many occasions, I do organize my thinking along a demand or marketing funnel. It depends upon the specific marketing initiative or challenge. I find the marketing funnel useful when addressing macro issues such as the role of “upper funnel” awareness communication vs. “lower funnel” direct response activities – and how these should be coordinated or integrated. It is also a valuable framework for ensuring that a brand reaches its target customers at each stage of the path to purchase with the right message at the right time and using the right medium or platform. The metaphor of a funnel in which the number of prospects or size of the consideration set becomes more focused in each phase is less relevant in today’s non-linear, iterative digital and social environment. Today’s framework is more of a decision journey loop with a consideration set that may contract and/or expand along the way and in which post-purchase communication and activities such as social sharing and an ongoing dialog are crucial. 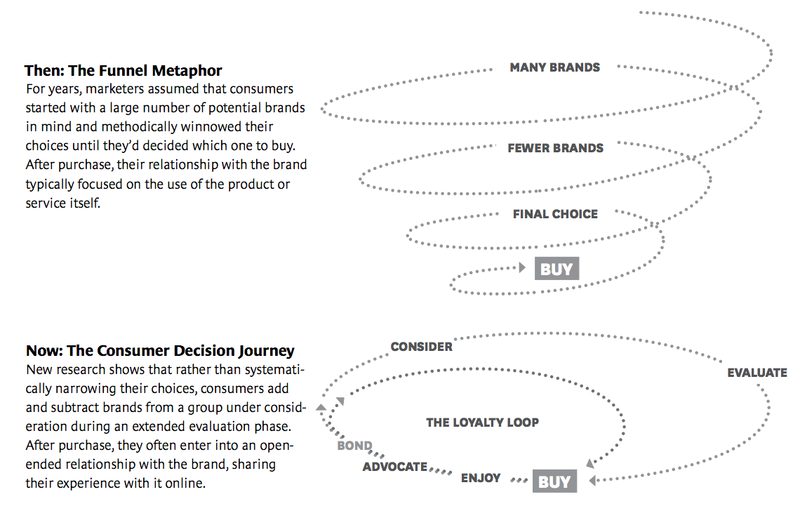 I often use a customer journey map or customer-specific path to purchase that incorporates the way in which consumers move from one platform to another as they interact with a brand. This approach frequently includes the development of customer personas and/or the identification of moments of truth. It has its origins in the marketing funnel and is an expansion of it. The ruling on the purchase funnel is not final. Most agree publicly that the traditional funnel, e.g., awareness, consideration, intent, purchase, loyalty – or as I was taught in business school, AIDA: Awareness, Interest, Desire, Acquisition, needs to be updated. The patch to purchase is no longer a straight line. The funnel of choice seems to be the McKinsey oval, which you can view in my summary of the panel. 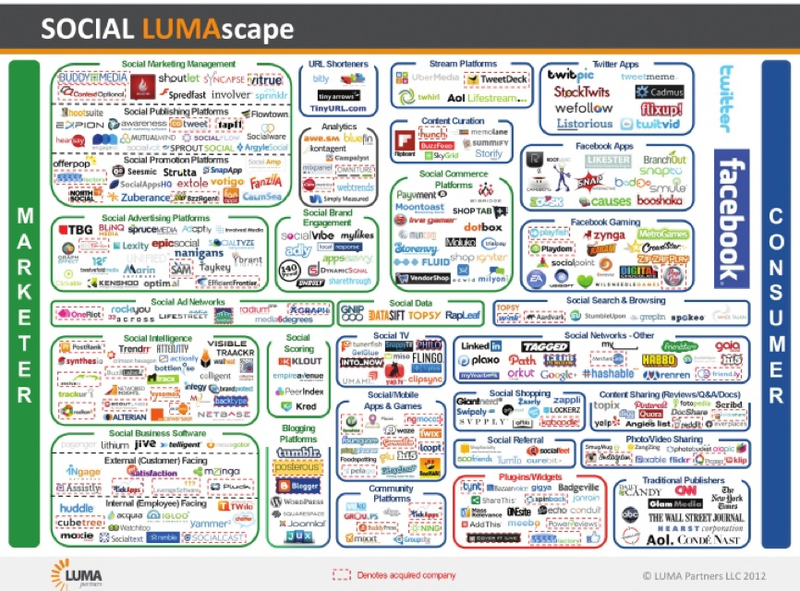 (No mention of the Forrester “path to purchase” in the age of social engagement – see below). However, when we got to the TV panels, the upward and lower funnel nomenclature was still front & center. A disconnect? 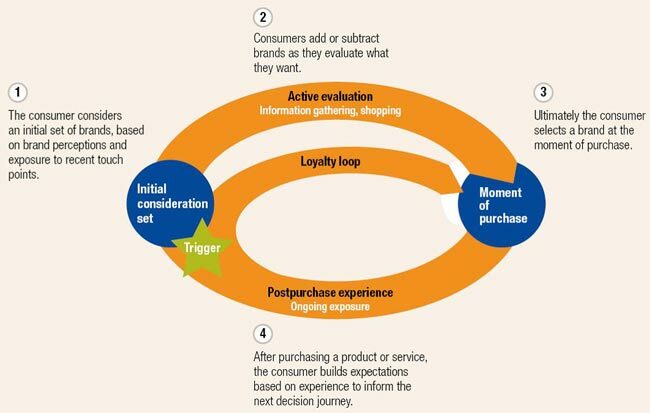 The Funnel (aka Path to Purchase and Consumer Decision Journey) – The traditional funnel is outdated. However, much of the terminology has survived and/or been incorporated to the new, bright shiny (Mustard colored) circular tubes. There is some consensus about the fact that the process is no longer linear but more of a circular conversation. – However, the term “funnel” as well as “top” and “bottom” of funnel and stages such as awareness, consideration, acquisition were used frequently, particularly by CMOs. However… the funnel must include advocacy. 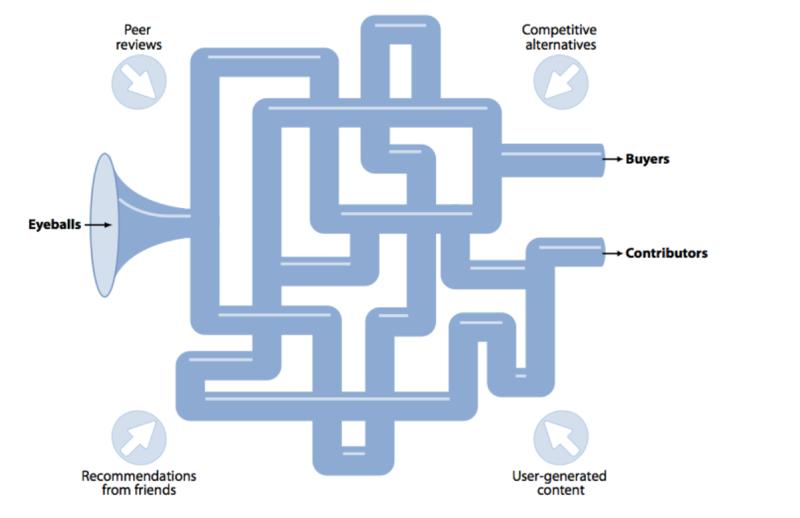 (Social, social, social) And, the funnel is iterative and, well, free flow. When I first joined pinterest, it was, as its name suggests, a virtual pin board where I would explore and share my interests and passions visually. The first passion I brought to life was tennis, starting, of course, with Rafael Nadal. My “Tennis” board was a form of visual poetry as I sought to assign just one word to each compelling or inspirational photo. I then moved on to the creation of a “Recent Indulgences” board where I could document and share recent purchases. This was something I had been doing on Facebook for many years by way of a photo album by that name, so the jump to pinterest was quite natural. And the fact that I could simultaneously share these images with Facebook and Twitter made this an easy transition and enhancement. More recently, I found myself in the position of shopping for a new desk. As I surfed the Internet and came across items that seemed to fit my need and that I found visually appealing, I found that uploading these images to pinterest was a wonderful way to keep track of the items I discovered. In fact, by creating a “Desk” pinboard, I was able to see the commonalities across the pieces of furniture I pinned and get a better sense of what I was looking for. It also prompted me to expand my search by exploring a new direction. This time around, I did not need to use the handy “pin it” button I had installed a few years back as I discovered that virtually every eRetailer had a pinterest widget incorporated into their website. Clearly pinterest has become a table stakes component of online retailing. Another element that was really wonderful was that when I pinned an item that someone else had also uploaded to pinterest, I was given an option to click through to that person’s pin board, which invariably provided new inspiration and led me to new websites and retailers featured in the pin board I visited. I’ve now expanded my board from desks to “Home Furnishings” as I explore dresser options as well. So pinterest has continued to be a form of visual exploration and expression. But it has now become a crucial part of my online shopping experience. I recently overheard someone say that pinterest is not about what people have but about what they wish they had – as if this were some kind of dark secret. I recalled that when Myspace first came into being it gave teenagers an opportunity to portray themselves however they wanted without being limited by the size, look or location of their actual home. In this case, the aspirational nature of pinterest is open, exciting and powerful – just like the pin boards of our youth. A mobile marketing strategy is a must-have for retailers – and, I would venture, anyone that sells products to consumers. In fact, with today’s predictive marketing capabilities, retailers and marketers can target purchase intenders at the time and place of potential purchase. 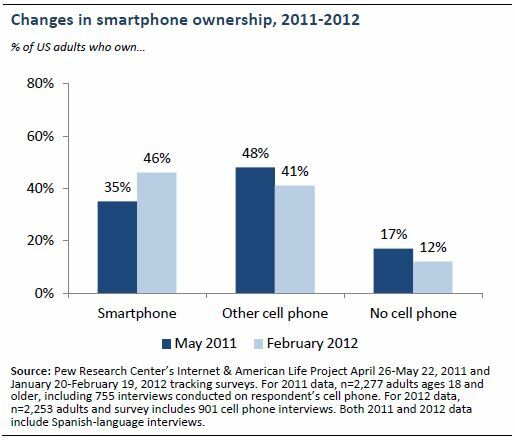 As of July 2011, 77% of teens have a cell phone (Teens, Smartphones & Texting). Older teens ages 14 to 17 are substantially more likely to have a cell phone than younger teens ages 12 and 13 – 87% of older teens have a cell phone, compared with 57% of younger teens. 23% of teens have a smartphone; 54% have a regular cell phone (or are not sure what kind of phone they have), and another 23% of teens do not have a cell phone at all. Overall, half (49%) of all American teens have gone online on their mobile phones in the last 30 days. The bulk of teens are 12 or 13 when they get their first cell phone (see: Is the age at which kids get cell phones getting younger? )(September 2009). See more in the Teens, Smartphones & Texting report. Texting dominates teens’ general communication choices. 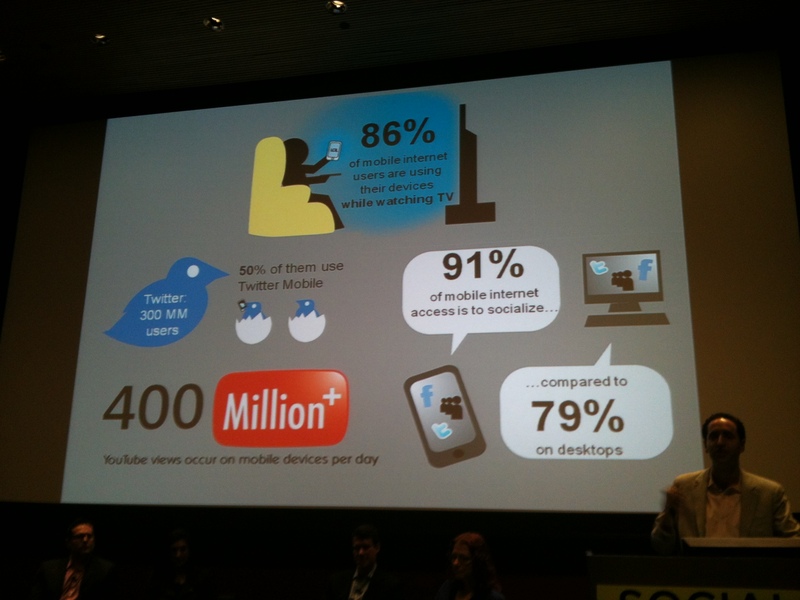 Overall, 75% of all teens text, and 63% say that they use text to communicate with others every day. 39% of teens make and receive voice calls on their mobile phones every day. 35% of all teens socialize with others in person outside of school on a daily basis. 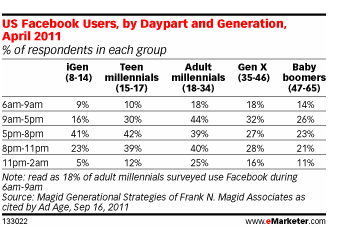 29% of all teens exchange messages daily through social network sites. 22% of teens use instant messaging daily to talk to others. 19% of teens talk on landlines with people in their lives daily. 6% of teens exchange email daily. The volume of texting among teens has risen from a median 50 texts a day in 2009 to 60 texts for the typical teen text user. Older girls remain the most enthusiastic texters, with a median of 100 texts a day in 2011, compared with 50 for boys the same age. Click here for more on what teens do with their phones. 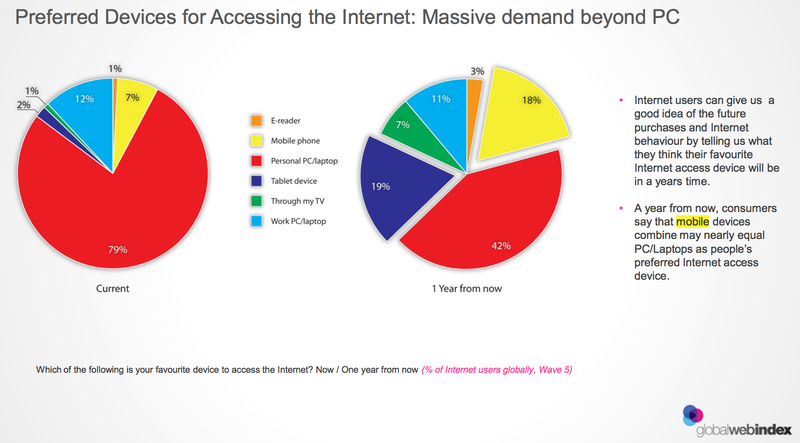 86% of mobile internet users are using their devices while watching TV. Are people fast forwarding through your commercials or engaging with their smart phones while they’re on? If so, has your commercial motivated them to do something related to your brand or prompted them to do something else to pass the time? 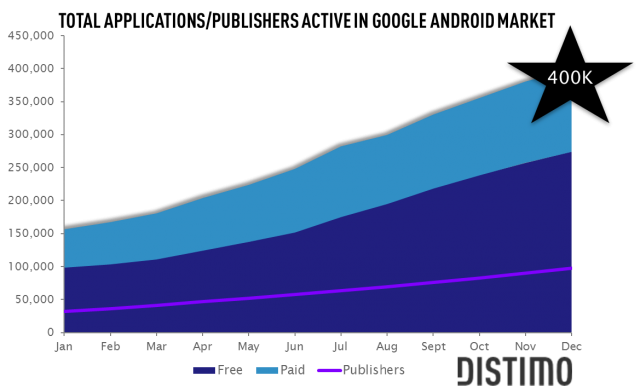 Free apps make up a considerable portion of that 400,000, and Distimo’s research indicates that the ratio of free to paid apps has jumped from 60% to 68% over the last eight months. Distimo pegs the prevalence of free apps on the current popularity of the freemium app economy, which also isn’t much of a surprise considering the potential payouts inherent to the model. Mobile marketing was the most active segment within digital advertising for mergers, acquisitions and investments in 2011, according to a new report from marketing and media investment bank Petsky Prunier. The Company sold 17.07 million iPhones in the quarter, representing 21 percent unit growth over the year-ago quarter. The Company sold 4.89 million Macs during the quarter, a 26 percent unit increase over the year-ago quarter. 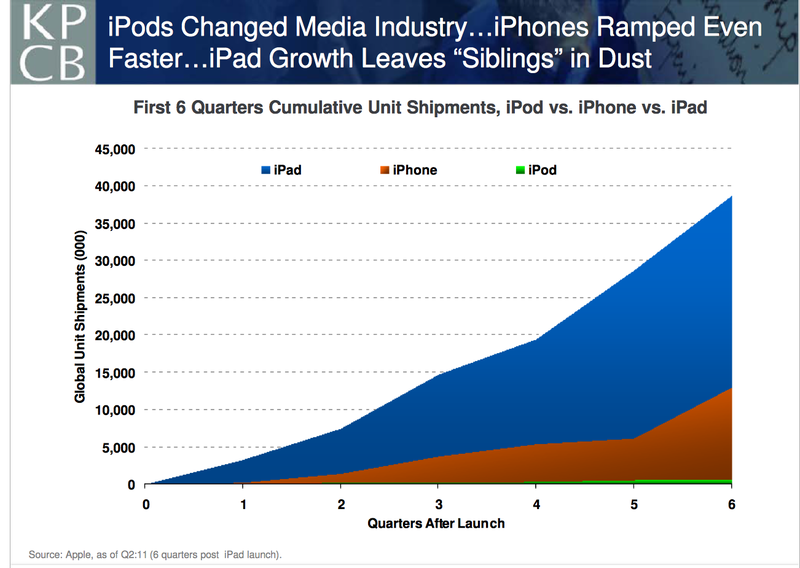 Apple sold 6.62 million iPods, a 27 percent unit decline from the year-ago quarter. Nearly 30 million iPhones and iPads were sold. Compare that to less than 4 million Macs (laptops and desktops, up only 14 percent vs. year-ago) – and less than 8 million iPods, DOWN from year ago. iPads and iPhones seem to be cannibalizing laptop, desktop and iPod sales. Don’t mistake mobile device usage with being mobile… A good chunk of time spent with smart phones, PDAs, iPads, eReaders and other such devices is spent at home. Think about it. Picture your well-wired friend – or maybe it’s you – with a laptop before you, a smartphone in your hand, an iPad on the sofa beside you, and an Internet connected TV shimmering its HD (or 3D) images from across the room. In fact, the latest data from ComScore shows that tablets have the highest share of traffic for digital news consumption during evenings, beating out computers (as well as smart phones) in at-home news consumption. (Source: Moxie Pulse) Moreover, GlobalWebIndex data suggests that, globally, half of those who access the mobile web do so from home or work, rather than while traveling or “roaming,” or while in a public place. Overall, more than 91 million US consumers use the Internet through a mobile device at least monthly, and this increase in on-the-go web usage goes hand in hand with more search activity, particularly for local content. 20% of mobile search users do so almost every day. Meanwhile, the debate between App and Wap (ok, browser) continues, with mobile search engine usage currently exceeding search via apps by 70% as of August 2011 – According to Yahoo! 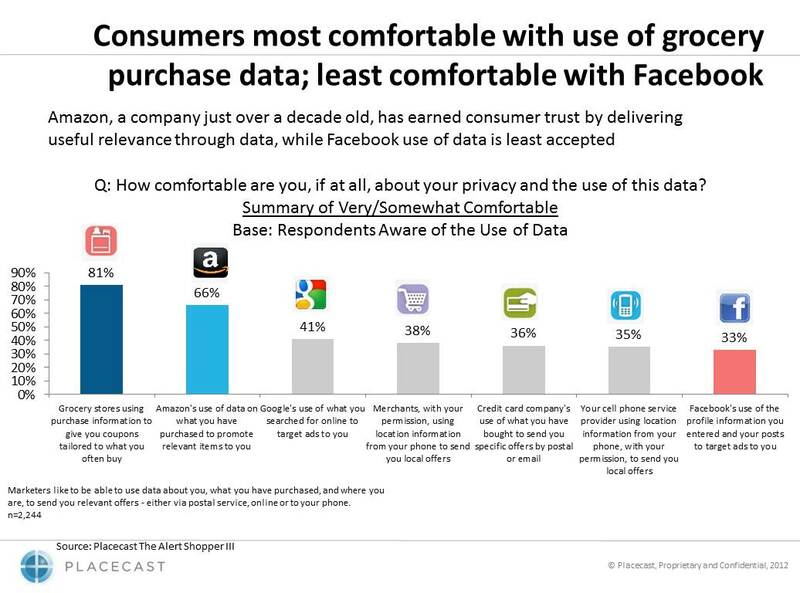 and Ipsos, via eMarketer. As of June 2011, the Android operating system accounted for 39% of the total U.S. mobile market, making it the #1 mobile operating system in the country. 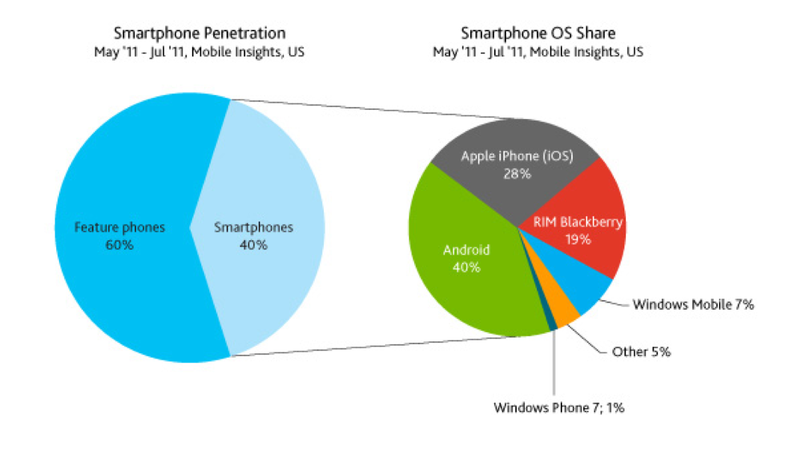 Apple maintains its share of 28% share, while Blackberry OS from RIM (Research in Motion) has fallen from market leadership (nearly 40% in 2009 – scroll down) to third position with only 20% market share. 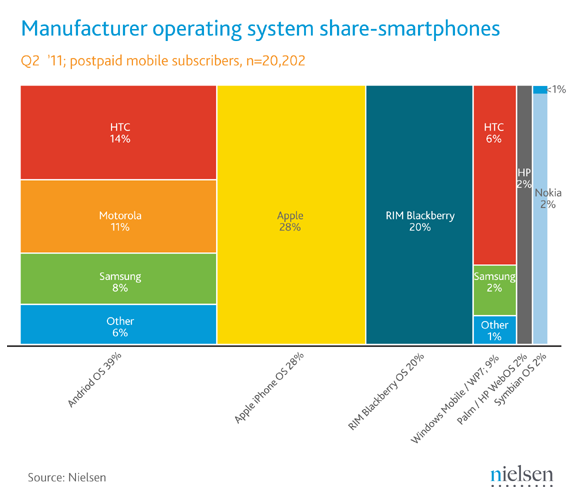 According to a report by the NPD Group, the Android operating system accounted for 52% of the smartphones sold in the second quarter of 2011, up from 36 percent sold in Q1 2011 according to previous data by Gartner. If you have not already invited Timehop Abe into your life, I highly recommend it. Timehop Abe sends me an email each morning recapping my social activity from one year before. Personally, I find this to be extraordinarily interesting. It puts things in perspective to be reminded what I was thinking about and experiencing a year before. Do I feel the same way today? Are my observations still relevant? Was I doing something particularly fun or interesting? How has my life progressed? Am I about to attend the US Open exactly one year from the last time I did so? 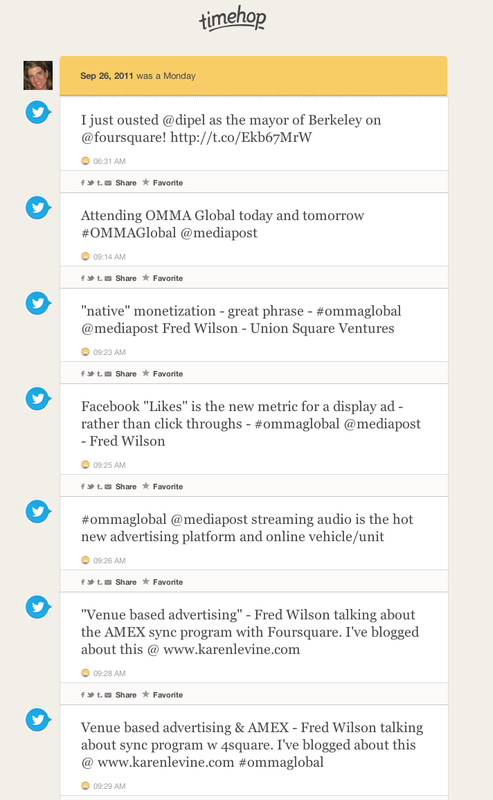 This morning I woke up to a quite lengthy recap of my Twitter posts from OMMA Global, which took place September 26th, 2012 – an interesting reminder on the eve of Advertising Week 2012, which includes OMMA Global. I imagine OMMA schedules during that week in order to take advantage of the energy and the presence of those from out of town. 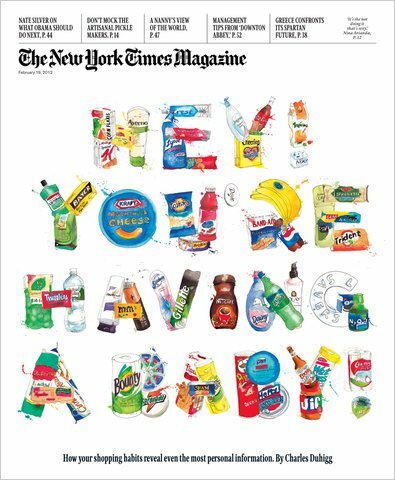 Unfortunately, for me, I prefer to sample the smorgasbord of Ad Week panels throughout the city vs. dedicating a day to OMMA Global, which is a shame. Hence, since the majority of my observations are still of interest, I thought I would start my day by sharing them with you. What do you think? Are they still relevant and thought provoking? I have added some of my own comments. #1 This was the beginning of an ongoing – friendly – battle for mayorship of my apartment building with my doorman, several years since I created the venue. I don’t believe that anyone else in the building has ever signed in. I hope this does not include those incredibly annoying and interruptive “Pages You May Like” posts on my Facebook news feed. Visit me here – or on Pinterest – for social media tidbits I find share-worthy. Share with me your thoughts and infographics you fancy. Women dominate Facebook, Twitter, Pinterest and Zynga. Men dominate Reddit, Google+ and LinkedIn. 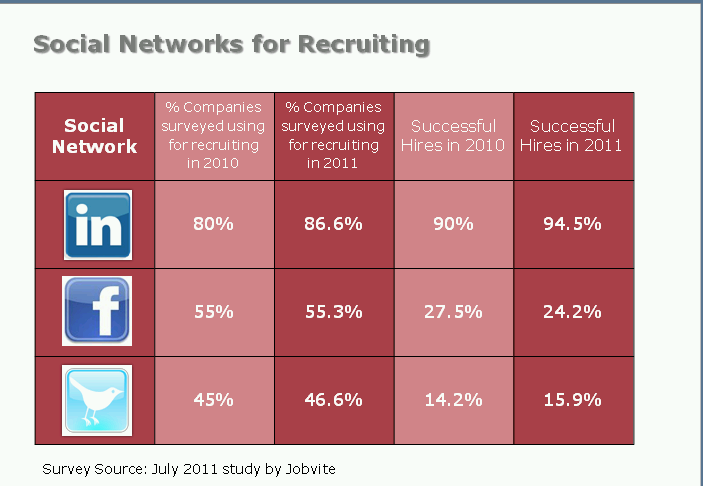 Net, net, women are heavier users of social media. 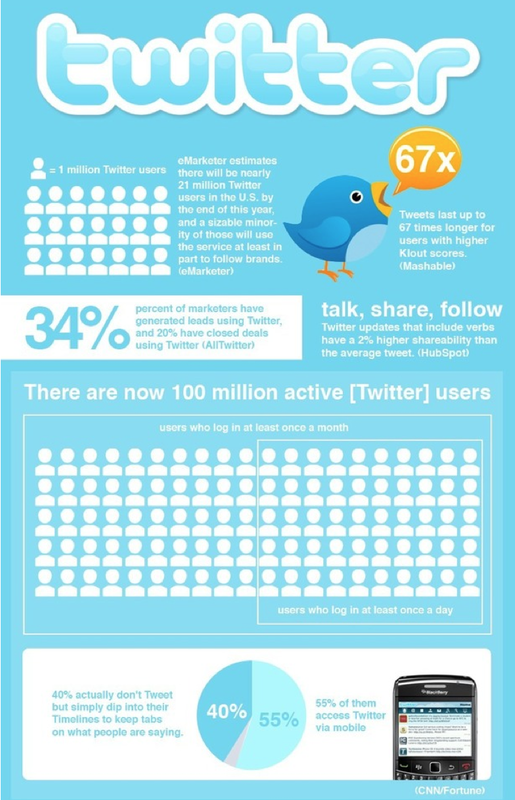 Tweet, Tweet, Tweet – 100 million strong — 21 million active in U.S. 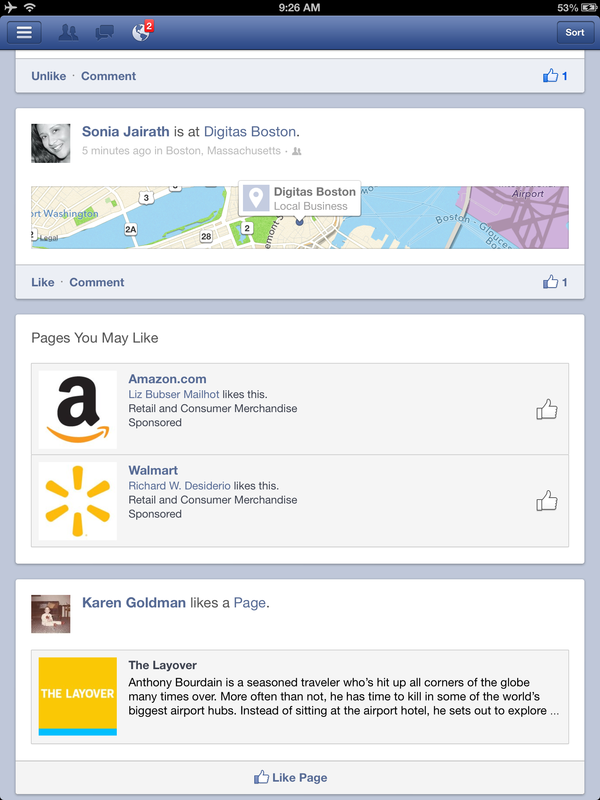 Using Facebook during the workday? Sure! Which Social Media Activity Do Companies Feel Benefit Them the Most? I suspect this varies by company, e.g., a customer service/complaint/service oriented company such as Time Warner Cable, Comcast, Bank of America, etc., might rank customer support higher. As Ted Schadler wrote in “Empowered,” customer service has become a form of marketing. Think Zappos and Virgin America.